The University of Minnesota Medical School offers medical, graduate, undergraduate, combined, and related degree programs. Our programs are designed for all levels: high school, college, med school, residency, and practicing physicians. If you’re considering a career in medicine, it’s never too early to start planning. Along with your coursework, the real-world experiences you gain as a high school student and undergraduate are considered as part of medical school application. MSTP students have access to a broad array of biomedical research opportunities in 12 graduate school programs. Students choose from a list of over 100 faculty members who have been approved as thesis mentors for MSTP students. Our 120+ residency and fellowship program options ensure our trainees gain access to real-world experience under the guidance of our top doctors, medical staff, and researchers. 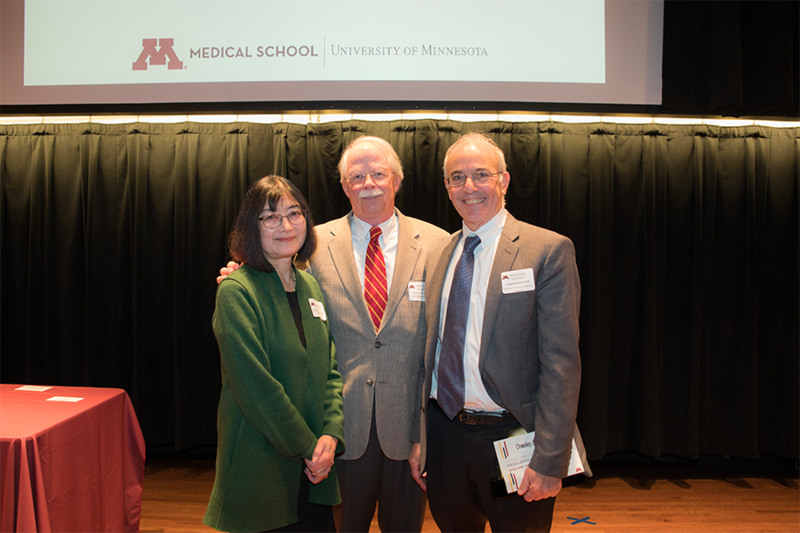 The University of Minnesota Medical School offers a number of graduate programs leading to the Master of Science (MS) and Doctor of Philosophy (PhD) degrees. Our graduate programs in biomedical sciences provide training for careers in academia as well as the public and private sectors. More than 330 faculty members serve as mentors to our PhD students. All biomedical sciences PhD programs offer full financial support (stipend, tuition, and benefits). Check out our new state-of-the-art facility that will serve as the “front door” to Medical School. The innovative space promotes teamwork and collaborative learning. Our faculty provides feedback and training needed to become excellent doctors and scientists while also developing your professionalism and collaboration skills.